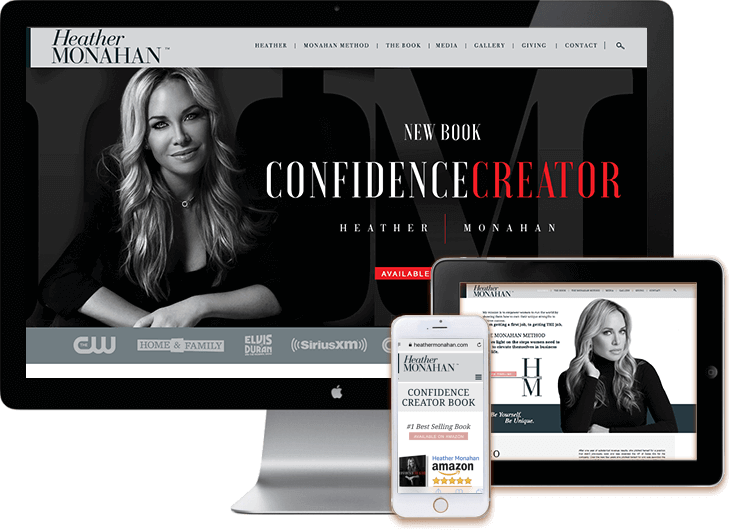 WordPress promotional personal brand web site for social media influencer and best belling WordPress author Confidence Creator book – Heather Monahan #bossinheels. 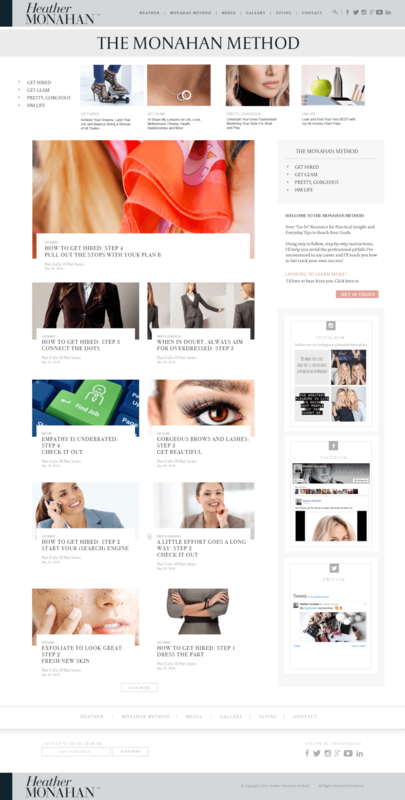 This WordPress promotional web site with custom menus for press clips, videos, blog, MailChimp promotion lists subscriptions, Instagram integration, all you need to promote your brand online and more. We are a full web design & graphic design studio inspired by art and technology. We specialize building WordPress web sites, the leading CMS web site builder in he world. Our programming and integration team generates custom WordPress web sties based on each client's specific needs. Our creative team generates free flowing inspirational designs focused on producing creative and compelling global communication and marketing solutions for our clients. 2002 - 2019 Red Cat Studios. All Rights Reserved.